Review Ninja automatically generates new reviews for your company. 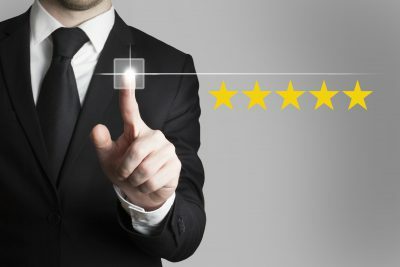 It doesn’t leave a favorable impression on people when they see no customer reviews next to a product or service they are considering buying. In fact, this can detract from sales just as much as a negative review can. For today’s consumer, reading about the experience others had with a product or service is instrumental in their buying decisions. Additionally, over 90 percent of consumers conduct online research before choosing a company that offers what they want to purchase. You build trust when they can see that other customers have given your company high marks and left positive online reviews. This also helps to increase your ranking with search engines. 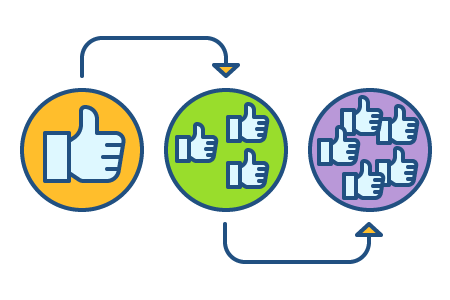 What if you could collect hundreds of new, legitimate reviews in the same moment your customer was interacting with your product? Review Ninja allows you to do just that with real-time feedback requests. Ultimately, this leads to higher ratings, better conversions, and more new customers. 73% of consumers think that reviews older than 3 months are no longer relevant. Our review generation service allows you to engage with every customer in the most critical moments of his or her journey with your company. You can capture all customer feedback, including regular Internet users and those who are less active online. Interacting with every customer leads to more positive reviews online and a clear image of your company’s brand. Highlight the voices of happy customers in online reviews while building a clear picture of your brand at the same time. Our mobile app allows you to monitor new reviews from your mobile phone. Review Ninja’s mobile app makes it simple to read new reviews wherever you are. It also automatically sends email review requests and SMS from your phone and receives new customer reviews in real time. You can access up-to-the-minute reports of ratings and reviews, activity from review sites, and choose which reviews to automatically promote on consumer sites, social networks, search engines, and your company website. You have complete control to select the method most appropriate for your business model. In addition, you can customize messages so your brand identity remains consistent. We send you alerts in real time when a new review comes in. This gives you the opportunity to respond to the customer immediately if necessary. SEO like you never imagined: Improve your online presence with a constant stream of fresh reviews. By using Review Ninja, you can prompt happy customers to share their feedback on other sites as well as promote your best reviews on the top social media sites. Having positive reviews on several different sites helps you establish much-needed credibility from search engines and customers alike. Since customer reviews refreshes page content, each new review improves your SEO efforts even more. If the review uses a star rating, it appears in a rich snippet and attracts more attention in search engine results.